Excellent design: Nord is a distinctive pod system device, it is a button-triggered one with large battery capacity, and it has cobra covered at main body to offer an exquisite and wild look. Whatever in appearance or function, this one won't let you down. 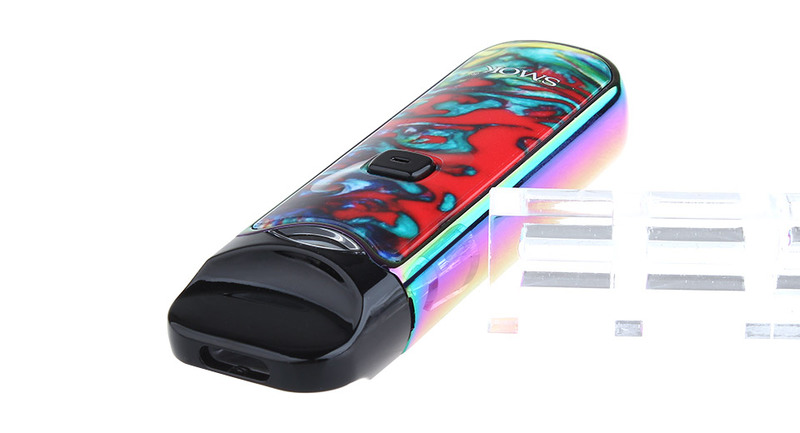 Strong power-1100mAh battery capacity: as a pod system device, Nord is extremely excellent, even with a litte body it still has 1100mAh battery capacity, you can enjory long time vaping and great vapor production with it. 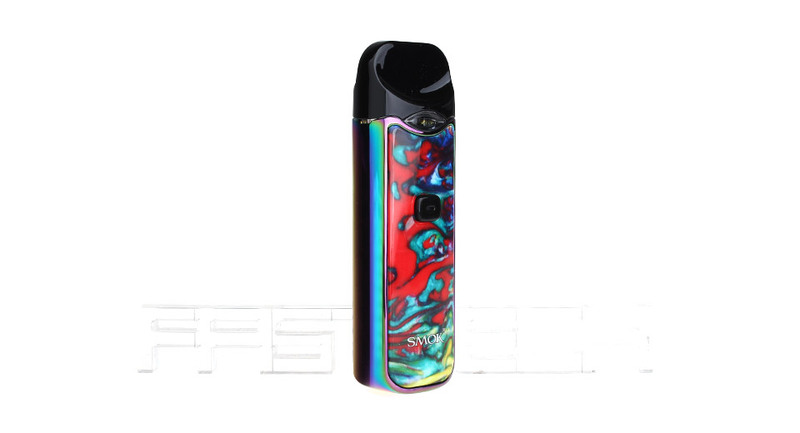 Familiar operations: different with normal pod system devices, Nord is a button-triggered one, you need to fast press the button five times to power on the device and long press the button to vape. Same operations with box mods. Improved mouthpiece: Nord's mouthpiece continues the duck-billed design, but it also has a great improvement, with a lip curve on it, this mouthpiece could perfectly fit your mouth and offer better user experience. 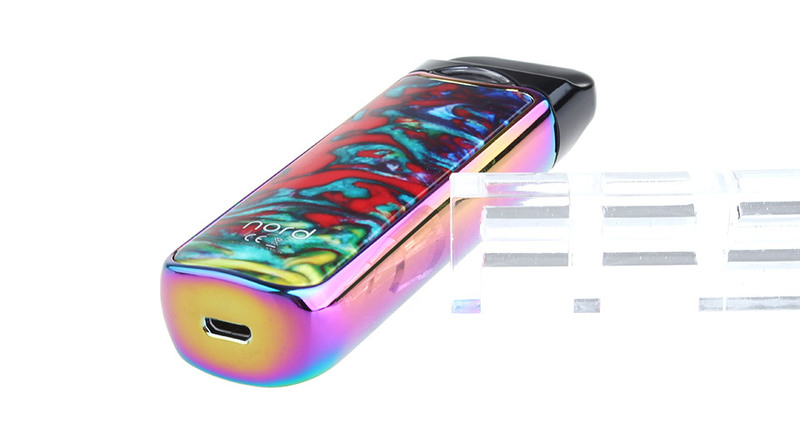 Portable size: Nord has a size of 94*30*18.8mm, which make it an easy thing to put this device in bags or pockets. Wherever you go, Nord can be a good company. Larger e-liquid capacity: Nord has 3ml e-liquid capacity, pretty large for a pod system devices, you can choose your favorite e-liquid to drip in and enjoy long time vaping! 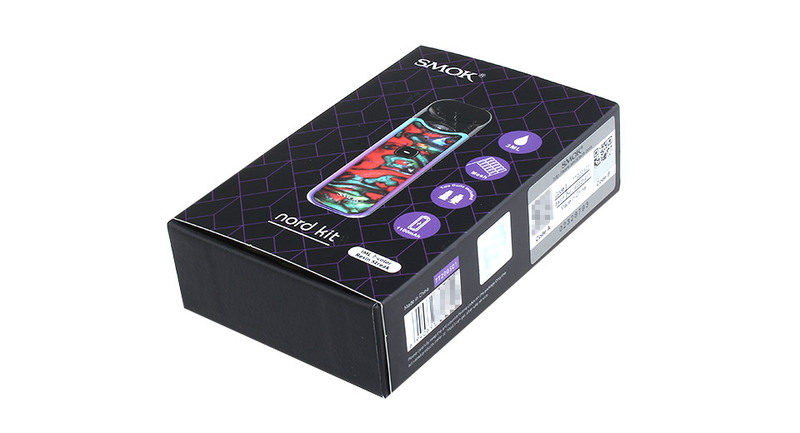 Multiple coil choices: in this kit, there are two coils included: Nord 0.6Ω mesh coil and 1.4Ω regular coil. 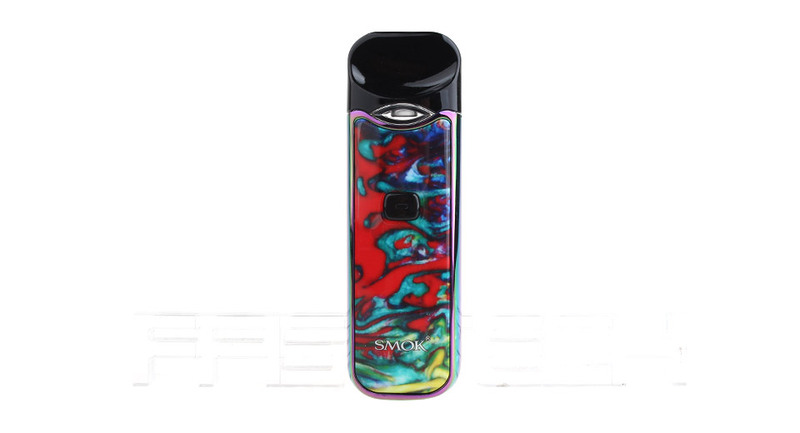 The 0.6Ω mesh coil is specially designed for sub ohm vaping, it has a large mesh inside, with which you can get faster heating process and massive vapor clouds; and the 1.4Ω regular coil is designed for MTL vaping, you can enjoy throat hit with it. Intelligent battery life indicator: there's a LED light on the button, press it twice then red, orange or green light will be on. Red light will on when battery power is lower than 30%; orange light will on when power is between 30% to 70%; and green light will on when power is between 70% to 100%. According to the different light colors you can clearly know the device's battery conditions. Multiple protections: NORD provides multiple types of protections to avoid potential risks. 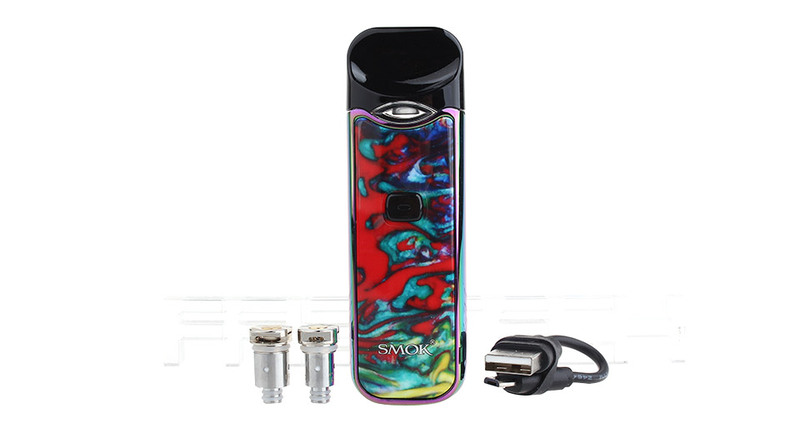 How to fill with e-liquid: do not vape immediately after full filling the pod. and let the device kit stand for 2-3 minutes to get its cotton completely saturated. Anti-counterfeit technology designed to combat fakes: the laser marking technology Nord adopts is extremely sophisticated which employs the ultra-high precision wafer-level laser technology of more than 80,000 DPI. By combining with the optical zoom imaging technique, it can provide the highest level of anti-counterfeit security. What's more, the identification is so simple and easy-to-perform that consumers can immediately tell the genuine from the fake.